This crash on northbound Hwy. 169 at Cedar Lake Road has traffic jamming in both directions. 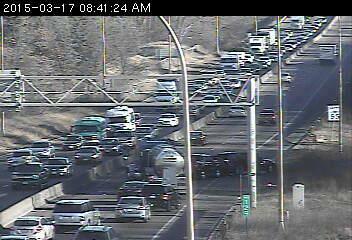 Meanwhile, look for very slow traffic on eastbound 494 in Bloomington. A wreck at France Avenue has traffic coagulating at Hwy. 100.